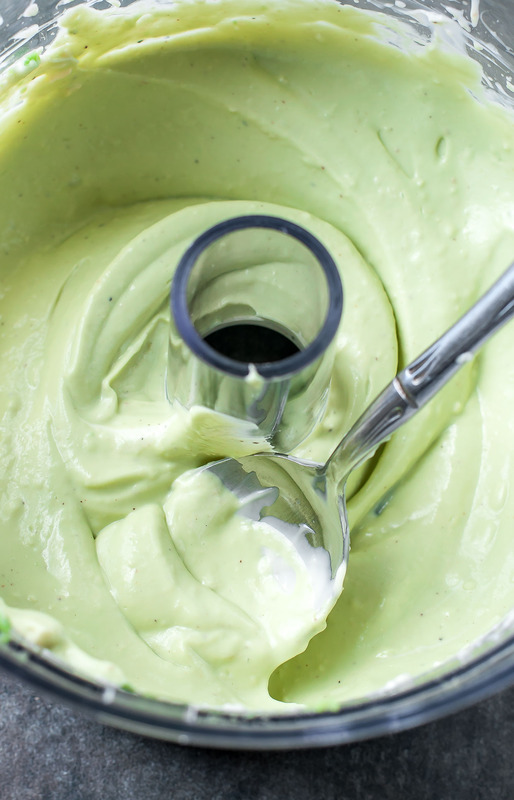 You’ll want to pour this creamy avocado dressing on everything in sight! It’s no secret that I looooove me some avocados any which way I can get them! 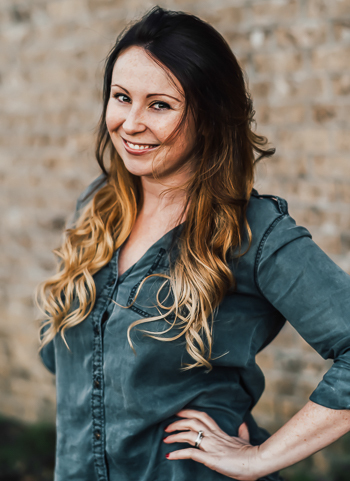 Whether it’s smashed on toast, scooped with chips, sliced over salads, or slathered on a veggie burger… it’s all good to me! At this rate, just pass me some sea salt and a spoon. This delightfully delicious dressing is downright dreamy, yo. (alliteration – whoo!) I whipped it up to dress my super healthy chopped broccoli cauliflower salad and quickly decided it needed to be slathered on everything in sight. Since I KNOW some of you guys are down for joining me in this tasty pursuit, here’s a printable recipe card for just the dressing. Now go forth and avocado all the things! * save the remaining avocado to top on your salad or save it for a snack! I face planted into mine with a sprinkle of sea salt and a spoon. Scoop out the avocado from it's shell and measure out your ingredients. 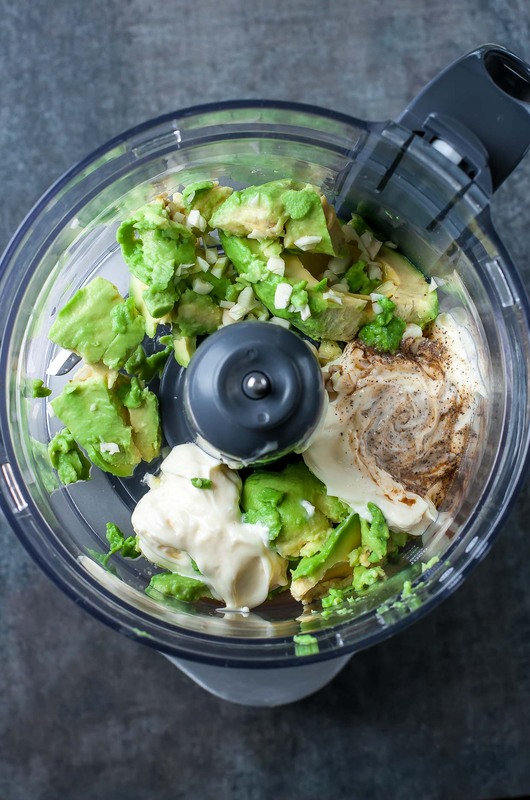 Toss all everything in a food processor and blend until perfectly smooth and creamy. A blender or immersion blender may also be used with great results! Swipe a veggie through the dressing and give it a taste. Add any extra seasoning to taste and feel free to add any extra garlic, Worcestershire Sauce, or even lemon juice if you'd like! Let your tastebuds be your guide. Pour over every veggie in sight! This salad dressing tastes great with every and any salad combo you can dream up or can be used as a party dip for chopped vegetables - have fun with it! Leftover dressing keeps marvelously refridgerated in an airtight container for up to 4 days. Looking for a vegan version? Try my avocado dill dressing! See post for tasty salad recipes perfect for pairing with this dressing! Serving this up at a party or potluck as a dip for veggies or to dress a crowd-sized salad bar? Use the doubled measurements. Nutrition Facts below are an estimate gathered using an online recipe nutrition calculator. Values are for a 2 TBSP serving of dressing. Adjust as needed and enjoy! Ready to get your salad on? Let’s do this! Though it looks like it’s straight out of a gourmet bistro, this simple (and speedy) blueberry broccoli salad is easily thrown together with just a few flavorful ingredients at home. Swap poppyseed ranch for my creamy avocado dressing – it’s amazing with both varieties! Omg YES. Just do it. There’s a homemade Italian dressing in this recipe that’s awesome but it’s also creamy and dreamy if you try it with my avocado dressing too. Skip the cheese, add the avo dressing, and prepare for an amped up macaroni-style salad with a fun new flavor! This easy peasy salad is made up of gorgeous greens, crunchy carrots, and cucumber spirals and pairs marvelously with this tasty green dressing! No spiralizer? No problem! You can use a veggie peeler to make cucumber ribbons for this salad. Even better? You can do this with zucchini too and really veg it up! Of course I had to mention the recipe that inspired this dressing in the first place! Featuring a tasty medley of broccoli, cauliflower, corn, and chickpeas, this veggie-packed chopped salad is ready to rock your lunch game. It’s also marvelous as a side salad for parties, picnics, and barbecues. You had me at avocados! This is a definite must make!! Cannot wait to try! I’m super excited for you to try it Andie, thanks! 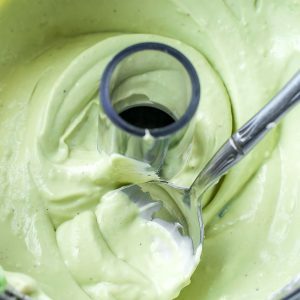 I love this creamier twist on a guacamole type dip/dressing. So versatile. Love it so! Thanks Robin!